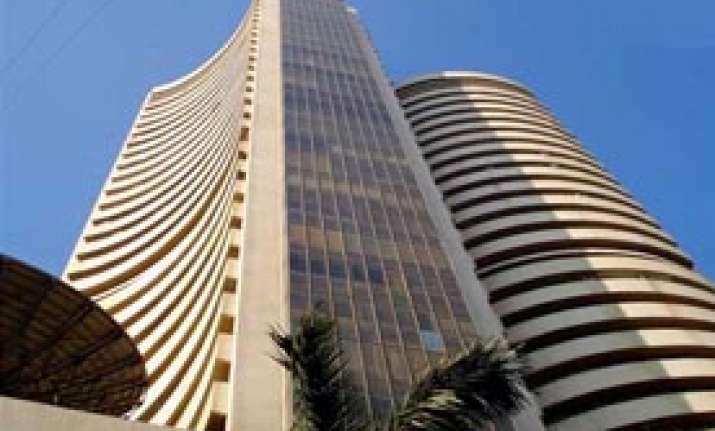 New Delhi, July 31: New Delhi, July 31: Wiping out most of its early losses, the S&P BSE benchmark Sensex today closed almost flat on revival of buying by funds after marginal recovery in rupee from record lows and the government announced steps to revive investment climate. After falling to 19,126.82 points intra-day, Sensex managed to close with just a loss of 2.64 points, or 0.01 per cent, at 19,345.70. The gauge has now lost over 955 points in six sessions. Similarly, the broad-based National Stock Exchange index Nifty lost 13.05 points, or 0.23 per cent, to 5,742 led by banking and interest-related stocks. Also, SX40 index, the flagship index of MCX-SX, closed at 11505.51, down 51.04 points or 0.44 per cent. Rupee plunged to 61 per dollar before trading at 60.88 when the stock market was closing, after Finance Minister P Chidambaram said government will take measures to attract long term non-resident Indian funds. Global markets are keenly awaiting US GDP data release and a policy statement following Fed's 2-day meet later today. Brokers said a volatile rupee raised concerns that the RBI may have to extend its liquidity tightening measures for a longer-than-expected period. Airtel jumped 7.3 per cent after Q1 earnings. Other Sensex gainers included Reliance Industries, Infosys, Dr Reddy's Lab., BHEL, Hindalco Ind., ONGC, Sterlite Industries and Wipro. However, ICICI Bank closed nearly 2 per cent down after posting 25 per cent rise in net profit in June quarter. Banking stocks were hit as RBI kept interest rates unchanged in monetary policy yesterday and did not come out with a clear deadline for unwinding the steps to control rupee which have also pushed up short term rates, traders said. Yes Bank sank 18 per cent in intraday trading, before ending with a loss of 7.19 per cent after it raised base rate by 25 basis points. The realty sector index suffered the most by losing 2.30 per cent to 1,316.95, followed by FMCG index by 2.26 per cent to 6,791.78. Banking index dropped by 1.84 per cent to 11,440.96 and power index by 1.67 per cent to 1,495.56.